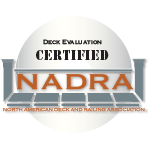 The foundation of a great deck is well… a great foundation. 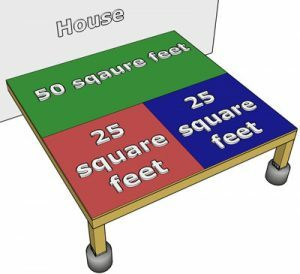 If you’re building a small, low, deck that’s not attached to the home and you’re okay with seasonal movement, settling and a shorter expected life, you can probably get away with pre-cast concrete deck blocks. It’s important to note that even though these blocks look like they just sit on the ground, they need to sit on undisturbed soil. There is no significant advantage to putting them on pre-cast sidewalk blocks, those are just two thin to really help spread out the weight much. So, there is a considerable amount of work you need to do before placing them if you want them to stay put. 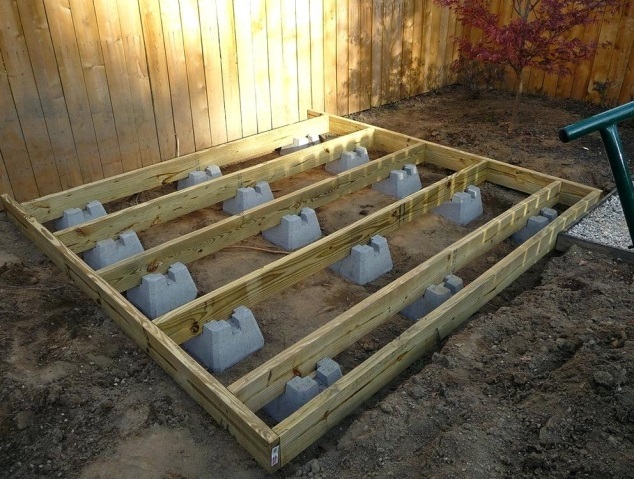 Here in Calgary, if you want to build a tall deck, or one that’s attached to your home (for stability, other structural reasons, or cost savings ) then you are have to have concrete footings. 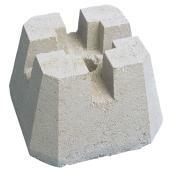 How big the bases of those footings need to be depends on how much weight they are expected to support. Each of the two footing on this little 10×10 deck will be expected to support over 1200 lbs. Why so much? Here in Alberta we build for a 50 pounds/square foot. This is the expected combined static and live load (In metric its 2.4kPa). 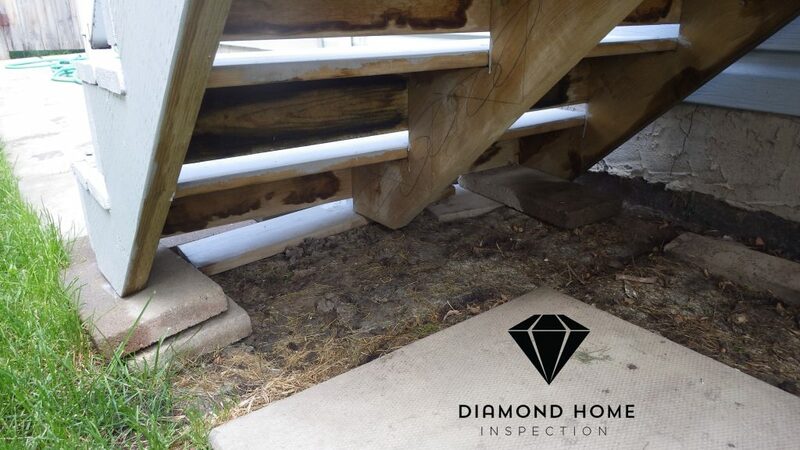 Most times, we don’t need footings or bell-bottoms to achieve good weight bearing in Calgary soils, but if your deck is large, cantilevered, you want bigger beams for large post-free areas, or anything else ‘interesting’, be sure to have an engineer make the necessary calculations, this may even be a condition of your permit. The next question is how deep to go. You don’t want different parts of your deck to move at different rates; this will break apart the structure of your deck. Your local municipality will already detail the minimums. This is typically at least 4′, and is intended to ensure the footing is below the frost line. 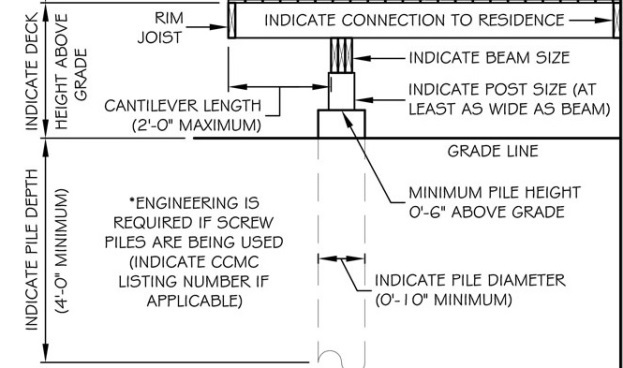 The other important thing is to bring the concrete pile at least 6″ up out of the ground. Failure to do so can mean the base of your wooden post is sitting in a puddle rotting. When you’re planning out the supports for your deck, be sure to include proper support for the base of your stairs, and if those are long stairs, you are going to need support half-way as well.